This year the Bogdan Borčić‘s graphic prints exhibition present works that he created in the 1960s, a period in which graphic prints bloomed in Slovenia as well as globally. By the beginning of the 1960s Borčić was well acquainted with graphic prints as an artistic medium, which he found increasingly enticing due to its numerous possibilities. 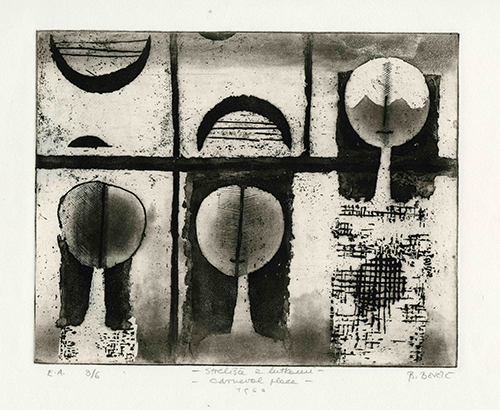 His graphic prints started to reflect the process and the economicalness of expression. This conceptual move was possible only under the influence of a concrete personal experience. The artist knew the Yugoslav coast since his childhood years, and he was especially well acquainted with the island of Vis and the town of Komiža, where his father was born and where he spent his holidays as a child. 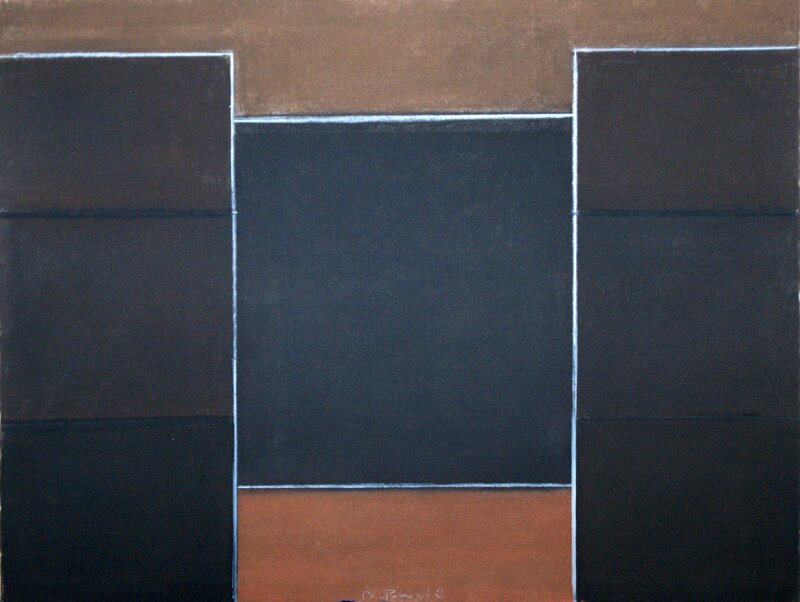 In the series presented in this exhibition we can notice that he let go of the narrative and focused on the exploitation of abstract forms. 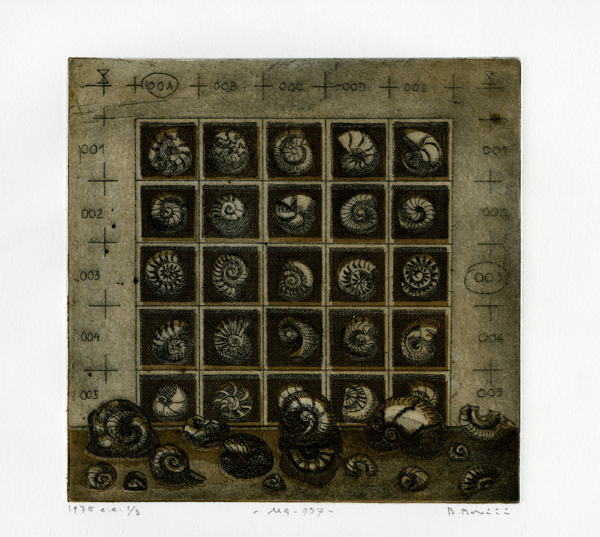 Borčić‘s coastal motifs come to life as fragments of life and an enigmatic microcosmos only through the viewers experience, for they demand of the viewer to give them meaning in accordance to his imagination. Instead of the conventional vedutas and views of locations and people at the sea, as created by the old masters, or for instance Borčić‘s professor Božidar Jakac – who at the time still emphasised the realistic motif in graphic prints – the detail is placed into the forefront. 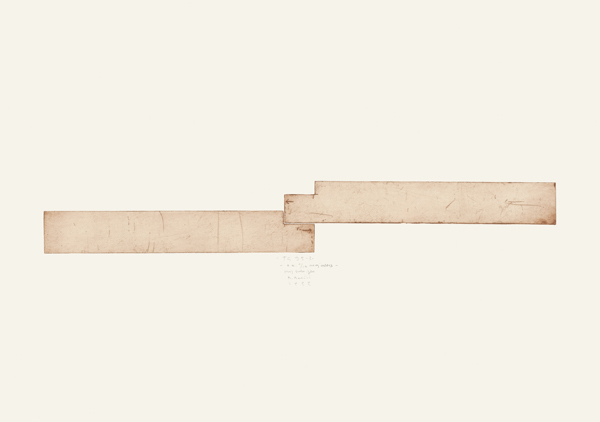 The current installation of the artworks on paper, where a selection of Bogdan Borčić‘s rich opus of graphics is exhibited chronologically, presents drawing as means of expression of the artist. 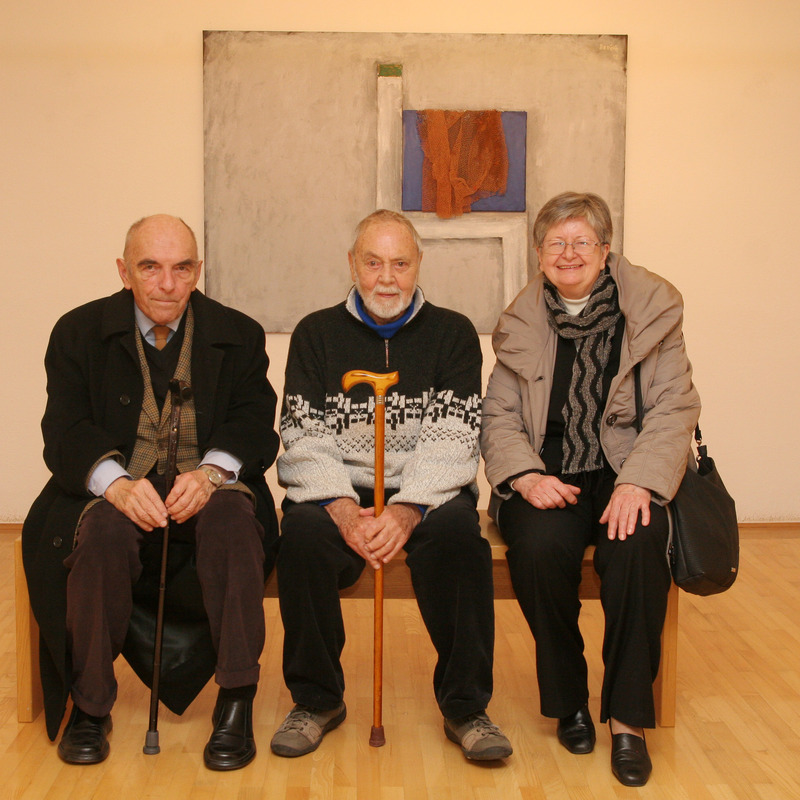 The reason for the installation is the donation of drawings to the Gallery by author’s widow Ida Borčić. The donated artworks are also described in the accompanying publication. 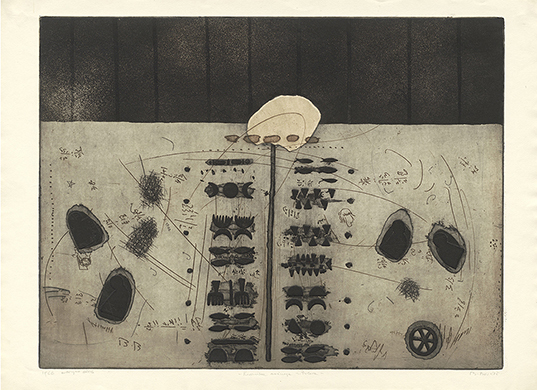 The exhibited works were selected in collaboration with Lana Razpotnik, an art historian and artist’s granddaughter, who also authored the text in the catalogue. Following a break from graphic works that lasted several years, this year, Bogdan Borčić received a commission from the Dachau Concentration Camp Memorial Site. 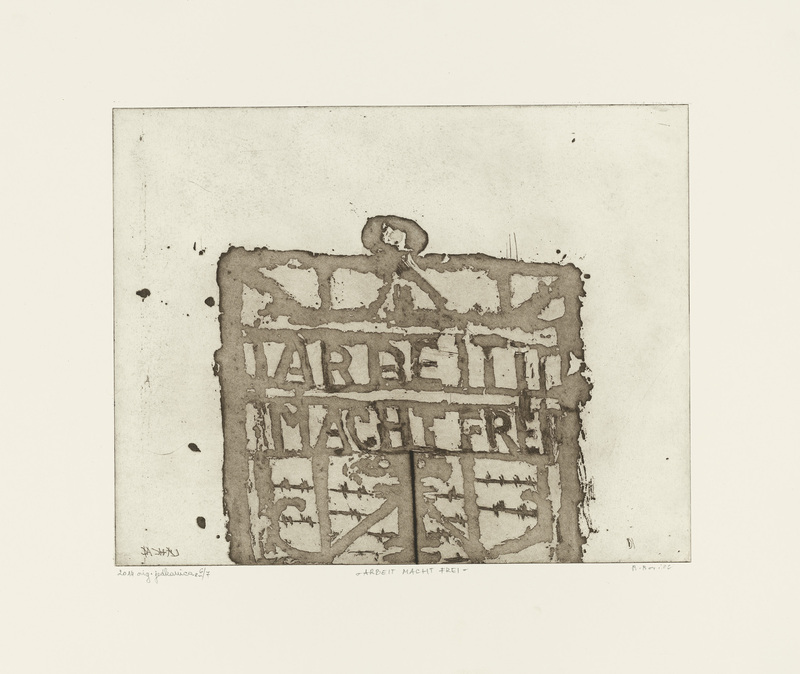 He created the Dachau graphic folder, a series of eight graphics in seven prints. This is Bogdan Borčić’s final showdown, and it therefore comes as no surprise that in it, he returned to the concentration camp. Only this time, it was not a fenced-off view through, but rather a direct confrontation. Although there are no people in Borčić’s depictions, which only contain the artist’s characteristic series of objects and atmospheres, the works present an eye-to-eye view, a look into the eyes of the civilization man has built. 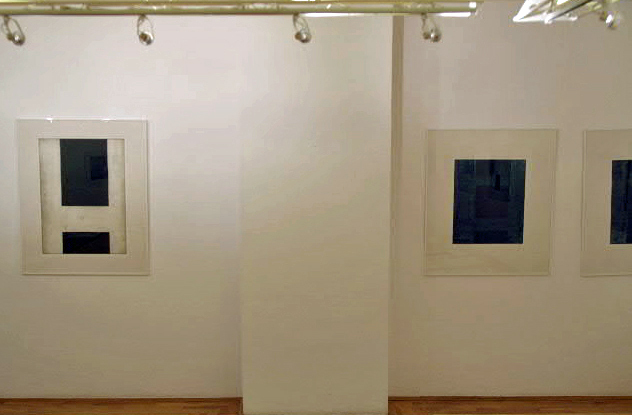 Works had been introduced by curator Goran Milovanović. Opening speech had been delivered by Mrs. Špela Spanžel, Director-General of the Cultural Heritage Directorate at the Ministry of Culture of the Republic of Slovenia. 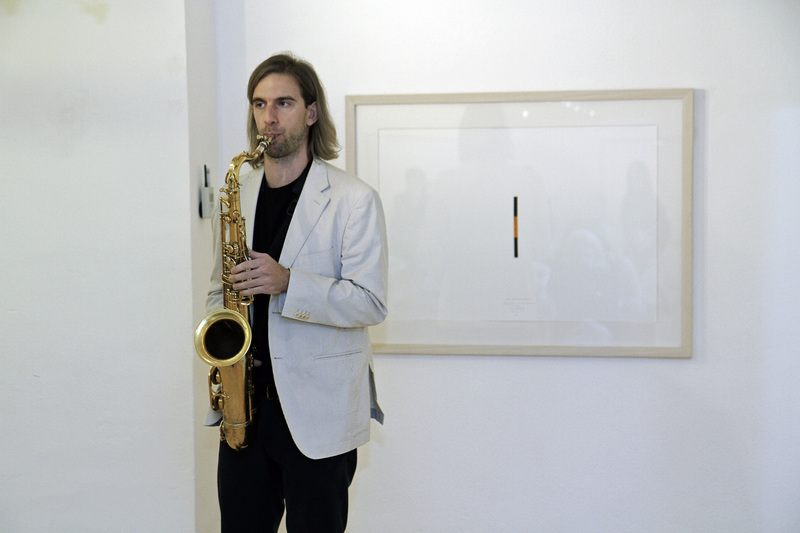 The 7th exhibition marked ten years of the first big donation of 806 prints which Bogdan Borčić donated to Božidar Jakac Art Museum, adding new works every year, as well as the artist 85th anniversary. The important component of prints reflecting transition form 20th to 21st Century is the space between two graphic plates which at the same time function as a junction. Artist joint the plates of ways: they either face each other or are turned against each other, with which he achieved the effects of the negative which seem very attractive to the viewer’s eye. 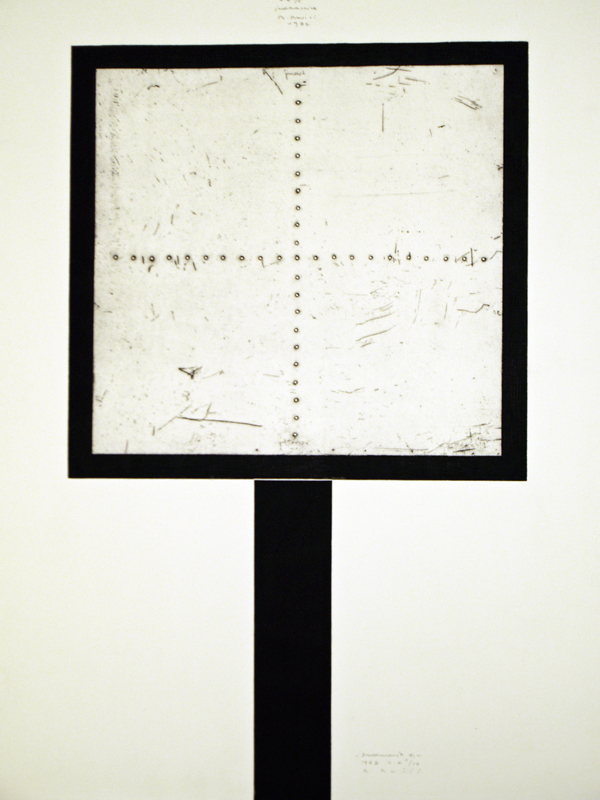 In his 6th exhibition the artist stayed in the realm of minimalistic art, building visual field by experimenting different techniques and applying them to graphic plates; the changes of the rhythm, black and white contrasts, turns around the axis and mirroring of the plates. On the occasion at exhibition opening a discussion with Bogdan Borčić had been organized and moderated by Goran Milovanović, cabinet’s curator. 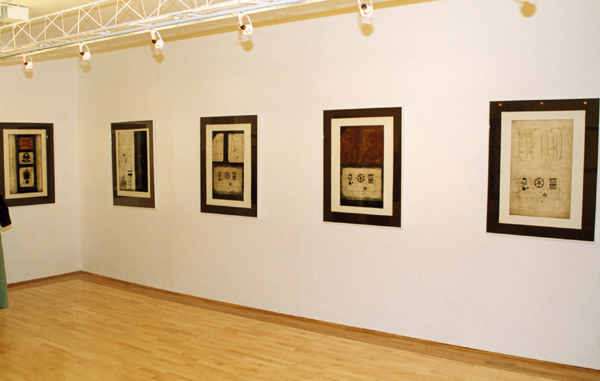 The exhibition presented works made during 1984/85, with some made in the last part of the eighties. Dialogue enabled more detailed introduction to the exhibition, as well as the artist’s work as a whole. At the occasion of artist’s donation of hundred drawings and sketches to ta Museum, exhibition of selected works was organized. 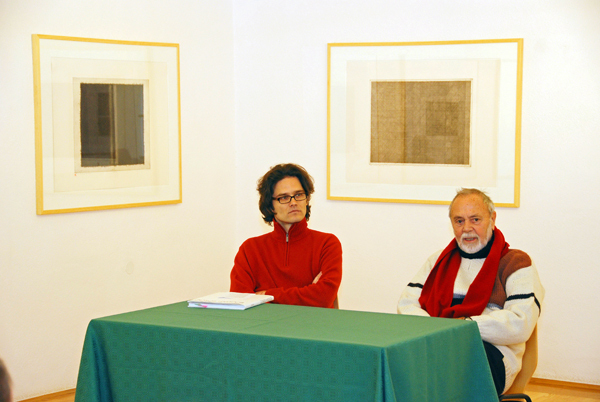 As an accompanying event, a monograph ‘Bogdan Borčić – Sketches and Drawings’ was introduced. The selection of 27 prints from ‘The Omen’ series. The selection of 26 prints from the beginning of the 80’ had been presented. Second exhibition presented a series ‘Shell’. 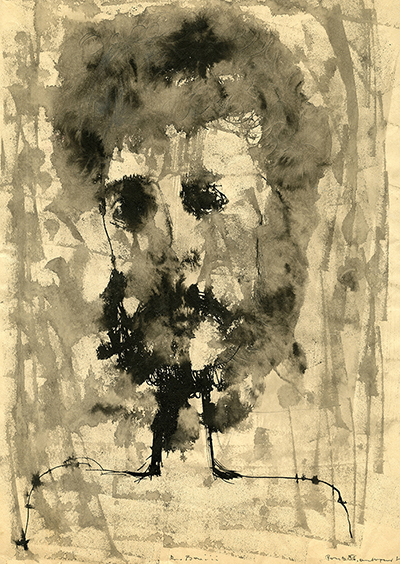 For this exhibition, Bogdan Borčić selected 30 art prints. At the occasion of print donation, a cabinet had been established presenting Borčić‘s early graphic with Komiža motives. 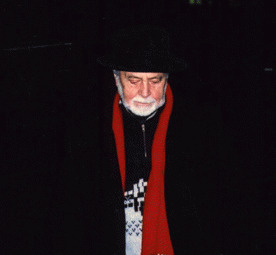 Works were selected by Bogdan Borčić; the artist was introduced by Zoran Kržišnik, PhD. Accompanying programme featured Dane Zajc. Opening speech had been delivered by Andreja Rihter, a Culture Minister.